years after our own lives on this earth are done." So I am on day two of being iced in this cold Texas weather. I have gotten a lot of things done around the house cooking, cleaning, watching my DVR'd shows and catching up on my reading. 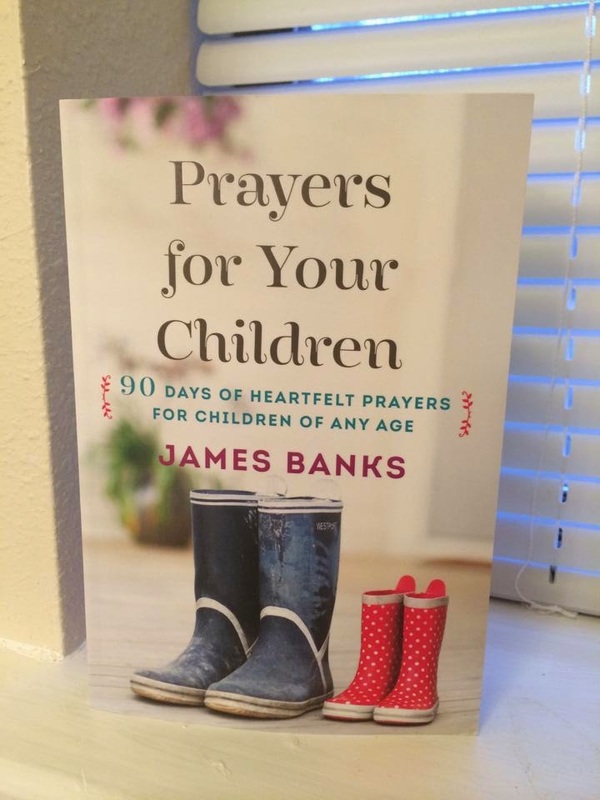 One of the latest additions to my library is in the above picture- Prayers for Your Children: 90 Days of Heartfelt Prayers for Children of Any Age. I love it's devotional format, it allows me to really soak in some of the words and verses and really intercede on my children's behalf. The quote at the top really intrigued me with its truth. I thought about the people that have prayed for me growing up. I know my parents, especially my mother prayed fervently during some of my darkest and rebellious times as a child and teenager. But here I am at 30 years old married with children and jumpstarting a writing/speaking ministry to encourage other women to live for Jesus. I guess you could say my parents saw some of their prayers answered. Being able to shed off my former life and past mistakes and use it for God's glory could very well be the answer to any parent's prayer when they are watching their child grow and mature and having to witness them make mistakes also. But what about those other prayers...the ones they don't have an answer for yet? How about those other family members, the ones we haven't seen "come around" yet or that we are having to watch repeatedly make mistakes or dig themselves into bigger holes that make it difficult to get out of. I have prayers that have been answered, but I have a lot that have not. Some don't even look like God has touched those situations from the outside. I think back to my grandparents that have passed within the last 10 years. My grandfather was a pastor and my grandmother a strong woman of God who led the women's bible studies. When they passed, had they seen all their prayers answered? Certainly not, but it doesn't mean their prayers are no longer valid because they are gone. My grandmother and I were very close and we talked a lot about what was on our minds. She would ask me to pray for things and knowing some of the situations and people, she asked me to pray for then, I still do now. I don't think we need to ever get discouraged when we don't see instant gratification when it comes to our prayer life. A part of the healing, miracle, or end result is in the journey. A situation or a person you intercede for may not be changing from the outside but I do believe God has hands on the situation. I believe in divine appointments, angels, God speaking through different outlets, besides His Word such as- other people, tv preachers or podcasts, an encouraging quote or song. Enjoy this song by Sanctus Real "Pray" and don't stop praying! The answer is on it's way! Notice I didn't say that yes is on it's way, sometimes the answer is no or sometimes...wait. Whether that prayer is for us or for someone else, God knows what we need, when we need and how it needs to happen. I'd love to read this book. The cover really calls out to me! Hope you guys survive the ice. I hear it's coming our way!! The book sounds really interesting. I may have to order that :) You're right, just because we don't see how God is moving doesn't mean that something isn't happening. Trust in God & His timing is such an integral part of Faith. Great post!